At Waypoints we believe it is important to dive into the Bible. We believe it is important not to read ourselves into the Bible, but read the Bible into ourselves. That is why we majority of our teaching series take us verse by verse through a book of the Bible. 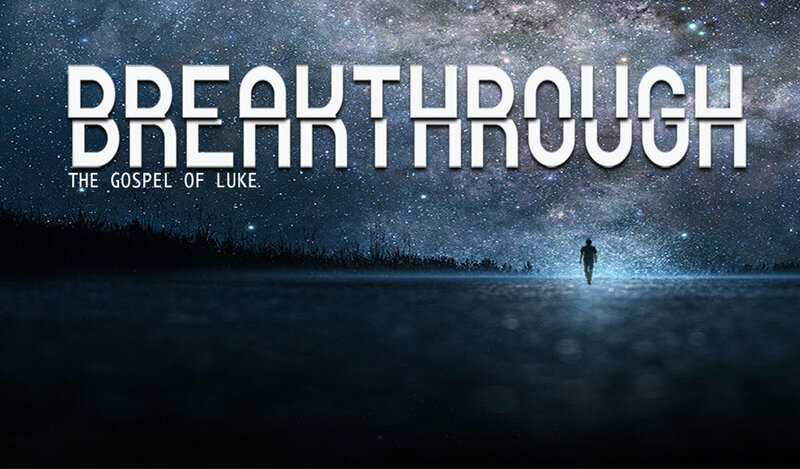 Are latest adventure is called Breakthrough. It is the study of God breaking through into our world, into humanity, into our individual lives. We are using as our guide Luke’s gospel. We chose Luke because no other person approaches the life of Jesus like Luke. He gives more detail, it’s the largest of the gospels. In fact he tell us he gathers all the evidence. He interviews eye-witnesses in order to get it all right. The people we read about, some of them Luke interviewed. He talked to the people who were there, so Luke brings to life Jesus’ story in a way that us a real glimpse of who He is. Remember Jesus was a real person, who lived in a real world, who had real encounters, with real people. Welcome to the Breakthrough. You can join us live or watch past messages through Vimeo. To watch past messages in this series and past series' in their entirety. Click below. To join this series live on a Tuesday or Friday night at 6:30 PM (mountain time) Click below.